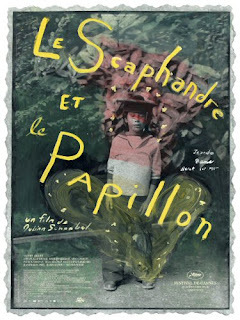 There has been another new addition to my 2007 top ten - Julian Schnabel's breathtaking, transcendent work of art, The Diving Bell and the Butter Fly (Le Scaphandre et le Papillon). There will be a full review running in the next few weeks (probably in The Dispatch) as the film begins its North Carolina roll-out, so in the meantime I'll just say that it is one of the handful of films from the 21st century that can legitimately be called a masterpiece. My top ten list can be viewed on the right hand column. Hey matt. Another film I am overly eager to see, I cannot wait to read your reivew.